Insta-Waist SPORT | http://skinnyroti.com | Get Skinny with Me! The Power Fitness belt has arrived. Insta-Waist SPORT. 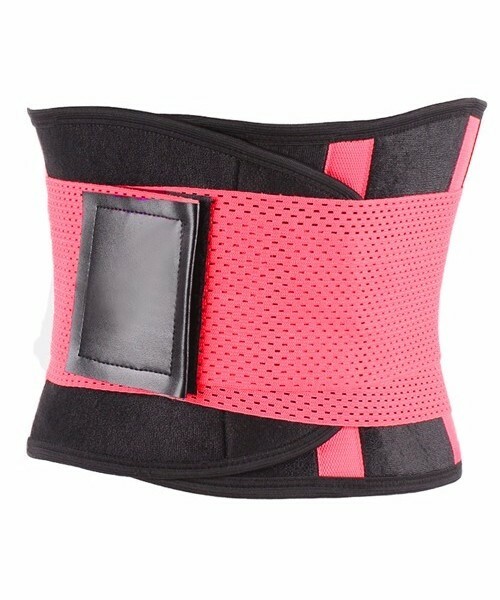 Use it while doing yoga, cardio, lifting weights, and everyday wear as a top of the line lumbar support belt. Hand wash, warm water. Hang to dry. Size is your usual shirt size. Easy!! The Power Fitness belt has arrived!!!! The Insta-Waist SPORT. This multi-functional belt has several uses. Use it while doing yoga, cardio, lifting weights, or everyday wear as a top of the line lumbar support belt. It’s easy velcro closure gets just as tight if not tighter than your standard power lifting belt but is easy to open and close, completely effortless. It helps to keep your spine aligned and upright at all times. It’s use as a lumbar support belt is by far unmatched when compared to any other back support belts on the market. Bought this belt about a year ago and the absorption is great! The sizing is very tight so I would advise to size up if you are in between sizes. I use it mostly for cardio or if I’m lifting heavy deadlifts. I am so thankful for this. I was recently in an accident and it’s the only thing that gives me any sort of relief. It feels so secure on and doesn’t cause discomfort during long term usage unlike some of the other belts I’ve tried. I have an old back injury that gets aggravated in the cold (because I inadvertently tense my back and shoulders), with longs periods of sitting, or any extra strain (i.e., when working out, lifting heavy objects). I was hesitant to try it, because I thought it was a typical “waist trainer” and not for me, but I was wrong! The Insta-Waist Sport supports my back in such a way that I am never achy if I’m wearing it, while being comfortable! I didn’t know such a thing existed! Love it:) Helps me keep my back straight when lifting heavy. I love it .it help a lot for back .you sweat extra which help to loose . Great for posture correction and had great results when used at the gym for cardio and weights! Works wonders! Got rid of my back pain immediately and people are noticing the results. SOOOOO happy. I was unable to sit for long periods, especially in a car, or go hiking anymore. This belt was a life saver as it immediately took pressure off my lower back and corrected posture. Totally recommend! !